Sarskilda is very excited to incorporate this dog and his pedigree into our breeding program. Max is a very substantial dog, with an exceptional pedigree behind him - Pendal Bach, Fasanerie, Erlenbusch, Fegelhof, Korbelbach, Mink vom Haus Wittfeld, to name a few. He currently has grandsons operational and training, with various Police Dog Squads. 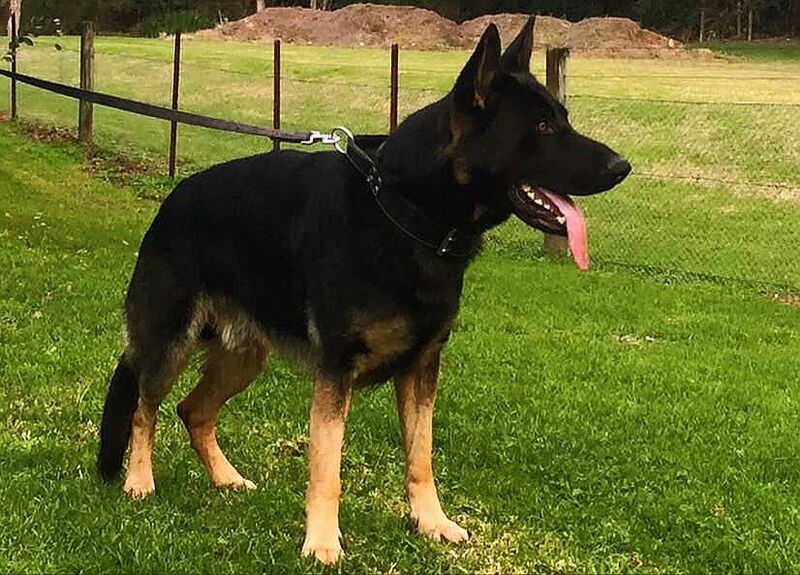 I have seen video of this dog working, courtesy of his owners, and I was very impressed by the dogs strength and commitment to his work, while he can be a pushy dog, he has a very good nature, and is a very balanced dog with his drives and temperament. He is also very well known for his extremely hard and solid grip. I expect to introduce size, substance, strength and excellent nerve with these lines.